Kamal Dutta MD attended R.G. Kar Medical College and Hospital, Calcutta where he earned his undergraduate and medical degrees. He finished most of his residency training in New York. He completed 2 years of general surgery and 3 years of gynecological training. He served as Chief Resident Dept of Obstetrics and Gynecology at Mt Vernon Hospital, New York which is under New York Medical College. In 1983, Dr. Dutta was board certified by the American Broad of OB-GYN. Dr. Dutta is one of the handful of gynecologists in the country who was awarded both the Fellowships of the American College of Gynecologists as well as the American College of Surgeons. 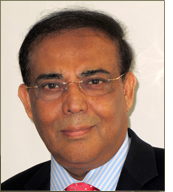 Dr. Dutta was Chairman of the Dept of OB-GYN at St. Mary’s Hospital as well as Passaic General Hospital. He has served as an attending physician in the Dept of OB-GYN at Hackensack University Medical Center since 1983. Dr. Dutta regularly teaches medical students and residents. He also proctors junior attending surgeons in doing newer and advanced surgeries. He was awarded the Physicians Recognition Award by Hackensack University Medical Center, which is considered as one of the 50 best hospitals in America. Dr. Dutta practices in Hackensack University Medical Center and at Ruby General Hospital, India where he takes care of many international patients. In 2002 Dr. Dutta wrote the book “A Simple Guide to Birth Control”, which is the most authoritative book on the subject. It was described by Amazon.com as a simple, yet thorough illustrated guide for women aged 15 to 45 years of age. It is the best selling book on ‘birth control’ in United States as well as India. 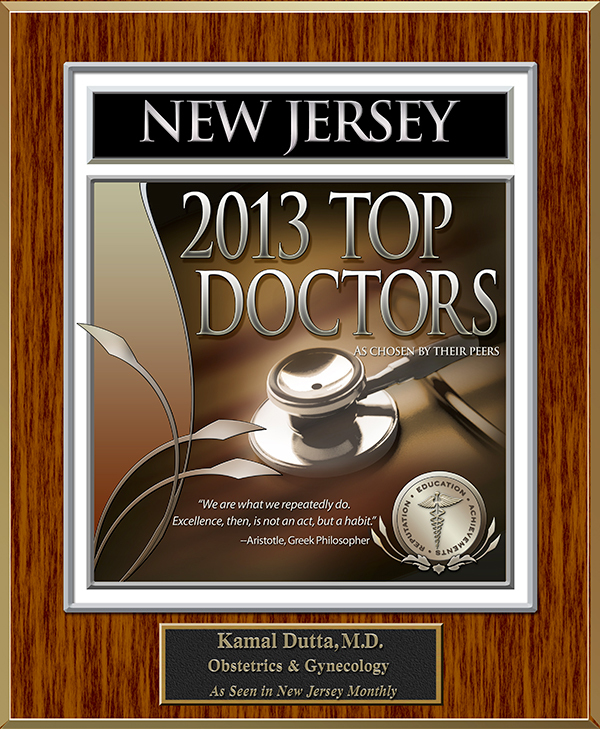 In 2013, Dr. Kamal Dutta was awarded the New Jersey Top Doctor Recognition by the New Jersey Monthly. He was one of only three gynecologist in the state of New Jersey who was awarded this honor. This selection was done by his Fellow doctors of New Jersey. © 2011 Dr Kamal Dutta. All Rights Reserved.